Running out the door in the fall can be tricky. It's not cold enough for a heavy coat, but not warm enough for a light sweater. Here are five mid-weight coats that perfect for this time of the year and all very reasonably priced! 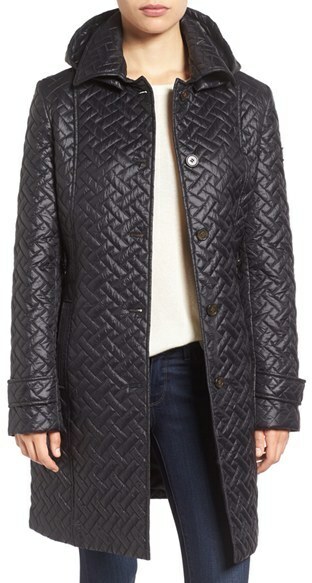 A quilted car coat is the perfect weight to layer with a sweater or wear on its own. I love this coat because it can easily be dressed up for going out or paired with jeans for every day. It's also machine washable and has a hood--perfection!! Plus it's on sale for $109.90...find it HERE. Treat yourself to a something fun to jazz up your wardrobe while keeping you cozy. 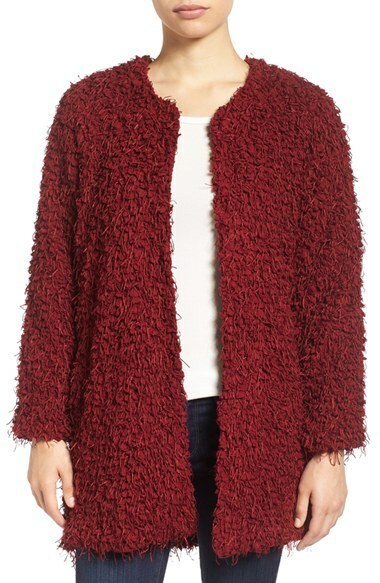 I love the color and style of this adorable plush coat. 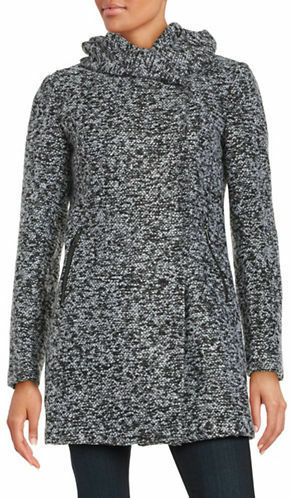 Wear it with jeans, leggings and boots or even over a dress. $78.00 --find it HERE. A tweed coat is a wardrobe staple that adds instant polish and "chic" to your look and this fitted cut is super flattering. On sale for $120.00 (great price!). Find it HERE. 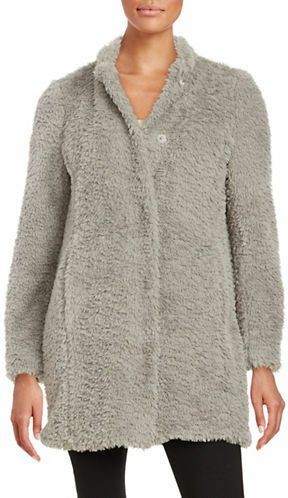 You know how much I love faux fur and this little number is just the cutest! Cozy and ultra soft, you won't want to take it off! Marked down to $100 (half price), it also comes in ivory and black. Find it HERE. A faux suede trench is perfect for every day or for going out. It also makes a great work staple! I love the rich color which is super flattering for most skin tones (also comes in cognac).This is a GREAT deal at just $69.99. Find it HERE. Affiliate links in this post may generate a small commission. However, the content of my posts are based on my own honest opinions and are not in any way influenced by partnerships.